Are you ready for changes to personal finance in 2016? Home > News > Are you ready for changes to personal finance in 2016? 2015 certainly counted as a year of dramatic change for the world of personal finance which saw the introduction of pension freedoms and better ISAs. Not bad as an hors d'oeuvres but 2016 looks likely to serve the main course. There are many significant changes coming this year that will impact how and what we can save. Don’t be worried though. The following list sets outs the most significant changes to your savings finances in 2016. 1) Flexible ISA – Will you be using it? Back in the Budget 2015 announcement, the Chancellor unveiled plans to give ISA holders more freedom with introduction of a fully flexible ISA. 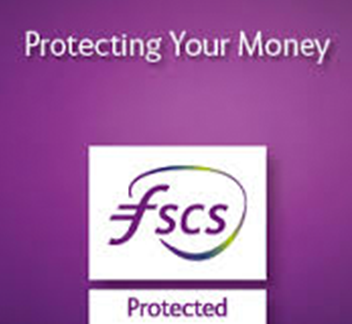 From 6 April 2016, banks and building societies will have the opportunity to offer flexibility on their ISA accounts. This will allow you to withdraw money from your ISA and put it back in without counting towards your annual ISA allowance, giving you much greater freedom to remove and then replace money, provided you do so in the same tax year. However, make sure you check your account terms and conditions before doing so as not all ISA accounts will be offering flexibility. 2) Help to Buy ISA – Saving for that first home? An early Christmas gift for first time buyers from the government arrived in the form of the Help to Buy ISA, giving a 25pc cash boost to those who are trying to a get a foothold on the property ladder. Essentially those saving for their first home will be handed £50 for every £200 they save. The first £200 monthly payment can also be boosted by an initial deposit of £1,000 securing £400 bonus from the government. The overall maximum amount the government will contribute is £3,000. Therefore a total of £12,000 will be needed to be saved in the ISA to receive this. If you’ve seen the headlines, the introduction of a new personal savings allowance is set to take 95% of people out of paying tax on savings altogether when it’s launched in April 2016. At present, savers pay tax on their interest earnings from current accounts, fixed term bonds and other savings products, with the rate based on their income tax bracket. From 6 April 2016 savers will receive a personal savings allowance set at £1,000 for basic-rate taxpayers and £500 for higher-rate taxpayers (there is no change for additional rate tax payers). This means you could earn that much in interest before tax is due. Of course all interest is tax-free in a cash ISA anyway, so these new limits will be in addition to ISAs.